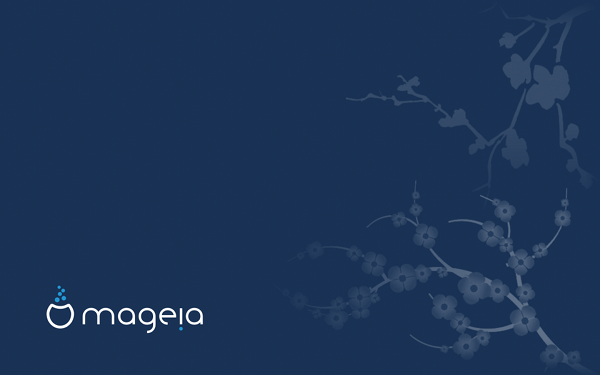 Right on time, and just in time for the first day of FOSDEM 2014, we have the great pleasure of announcing Mageia 4. We’re still having a grand time doing this together, and we hope you enjoy this release as much as we’ve enjoyed making it. And if you’re at FOSDEM, come and help us celebrate! To dive right in if you can’t wait: download now, read the Release Notes, or check how to upgrade from Mageia 3. And you can find all the information on Mageia 4. What’s new in Mageia 4? Take a look at the complete list of packages upgraded from Mageia 4, by checking the Mageia Applications Database. See all the new and updated applications in Mageia 4, or check which packages have new versions. Our thanks go to Stormi and the other madb developers for this amazing resource! GRUB is the default bootloader; GRUB2 is also available. Oh, and the neat new Mageia Welcome! See the Release Notes, Errata and Mageia App DB for the complete list. We all work together – to make the best distribution we can, and to help each other. We’re a really welcoming and inclusive bunch of people, so it’s a great place to be supported while you learn, whether it’s to use Mageia or to help make it. Come and join us, and make some of the best friends you’ll ever meet – check out the different ways to do that on our Community page. You can also link up with us on Google+, Facebook or Twitter. Mageia’s bug reporting system is open to everyone, as are the mailing lists, Forums and IRC. Your feedback is welcomed, and we want it to be easy for you to have your voice heard and follow what is happening. And access to our fully tested and prompt security updates is free of charge for everyone. Thanks so much to Gwenaël for our great new background. The Atelier team has once again had fun putting the Look together around his work – we hope you like it! Our heartfelt thanks go to all the people who donated their time to make this release possible, and all the people who donated money allowing us to buy the servers that we use to build the distribution. And thanks again to Gandi and Ielo for another year’s sponsorship that provides us with blog and website space, and the space and network connections in the datacenter that host our main servers. This entry was posted in Mageia, release and tagged linux, mageia, mageia4, release. Bookmark the permalink. ← We won the battle against bugs and the war almost! 36 Responses to New year, new resolutions and a new Mageia – here’s Mageia 4! Just a quick note to remind that I’m not alone doing it, although I’m the more visible. There are several contributers, but the main contributer besides me is Adrien Gallou. Mucho Congrats to the whole team! Is updating the kernel or Desktop Environment as easy as any of the ‘buntus? All my ‘buntus (Netrunner atm) update in a minute or so: Kernel 3.13.1 and KDE 4.11.3. Latest Mageia 4 has KDE 4.11 and Kernel 3.12. How do we update these, please? To be entirely accurate, Mageia 4 ships with KDE 4.11.4 and kernel 3.12.8. See https://wiki.mageia.org/en/Mageia_4_Release_Notes#Base_system . Security updates and major bugfix updates are provided and will be installed if you click 5he update notification applet when it shows that there are new updates. In most cases, version upgrades are not provided as this kind of updte. For these kinds of updates, there are ‘backports’ repositories, containing packages rebuilt from the decelopment version (called cauldron). However, cauldron has been in version freeze for a few weeks in prepararion for the Mageia 4 release, so it will probably be a few days before new packages make their way into cauldron, and a few more days after that until packages are available in backports repos for Mageia 4. “Successful” is written with only one l at the end. Thanks for the report, I’ll see that it’s fixed! Wow! Thanks for taking my feedback in consideration. Although it’s a small thing, it’s something that all users can see at first glance. I’ve been using Mageia since it’s first version and I love it! I would like to contribute with translations in my native language ( Spanish ) if you need me to. Feel free to contact me at: mandrivanicaragua @at@ gmail .dot. com or leave me a way to contact your team. I have been a a user of mandrake/riva and then right on to Mageia since 1999 and in that 14 years the devs have really brought out a great distro, but, I have to say, now that you guys are free from the corporate leash you are really able to shine, this was the best and easiest upgrade/install I have experienced in the past 14 years. most everything worked right on reboot. and all my settings and files were intact as if I didn’t upgrade at all! Congratulations on another stable, excellent release! looking forward to many more to come! it’s possibel to update kde to 4.12.1 and libreoffice to 4.2?